A recent study by the American Bankers Association reveals that 85 percent of Americans are aware that they have access to a free credit report each year, and 60 percent actually have checked their credit report in the last 12 months. The start of a new year is a perfect time to review your credit report and that all-important credit score. Credit scores are based on the information in a credit report, and they can affect everything from whether you can get credit or not, to the credit cards you’re eligible for, to your interest rate on a car loan and home mortgage. A credit score also may determine whether you can rent an apartment, or even how big a deposit you will have to pay for telephone, electricity or gas service. A credit score is a number that lenders use to estimate risk, and it helps them predict how likely you are to make your payments on time. Credit scores range from 300 to 850 and scores of 700 or more are considered a sign of financial stability. Higher credit scores mean you are more likely to be approved for credit, and that you are more likely to pay a lower interest rate on new credit. Payment History – Number of accounts paid and if any of them have been delinquent. Amounts Owed – How much of your available revolving credit lines have been used, the number of zero balances, amounts you owe on installment loan accounts vs. original balances. Length of Your Credit History – Length of time since your accounts were opened. Type of Credit Used – Total number of different types of accounts (credit cards, mortgages, installment loans). New Credit – Number of accounts you recently opened and the proportion of new accounts to total accounts. Always pay your bills on time. Late payments play a major role in lowering your credit score. If you have past due bills, pay them off as soon as possible and stay current. Keep balances low. High debt to credit limitations drive your score down. 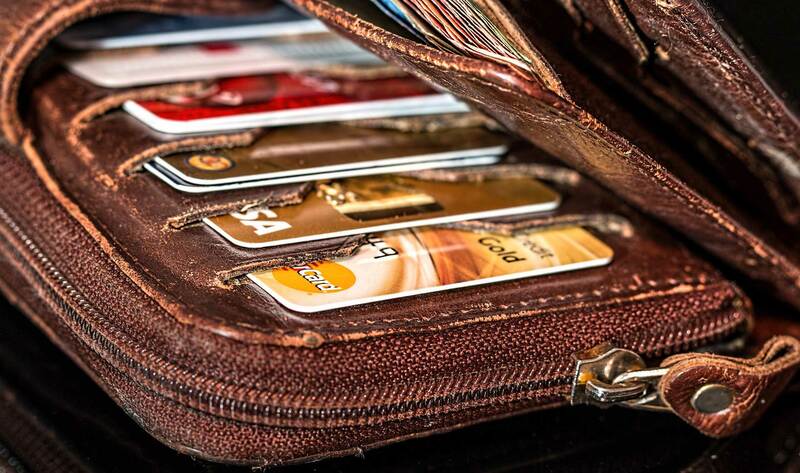 Try to keep your card balances at 50 percent of the limit or below. Don’t close unused accounts. Zero balances might help your score. Keep old cards active, but keep the number of credit cards you have between three and five. Eliminate late payments on your credit report and eliminate collection accounts. When you’ve become current on any late payment, contact the creditor and request that the late payment be removed from your report. And when you are getting ready to pay off a collection, contact the agency and make arrangements to pay it off with the condition that they remove all reporting from the credit bureaus. Be aware that a collection account may stay on your record for as long as seven years. Contact your creditors as soon as you know you will have a problem paying bills on time. They may be willing to work out a payment plan. By law, you may obtain one free credit report a year (www.AnnualCreditReport.com) -- more if you have been the victim of identity theft. You can also obtain your credit score from any of these three credit bureaus for a reasonable fee: Equifax (equifax.com), TransUnion (transunion.com) and Experian (experian.com). Each agency operates independently, so sometimes their records differ. In order to be sure your reports are current, any corrections or updates to your file must be sent to each credit reporting agency. If you haven’t checked your credit report lately or want to start working on improving your credit score, now is the time.